Step One: Log in under My Policy. 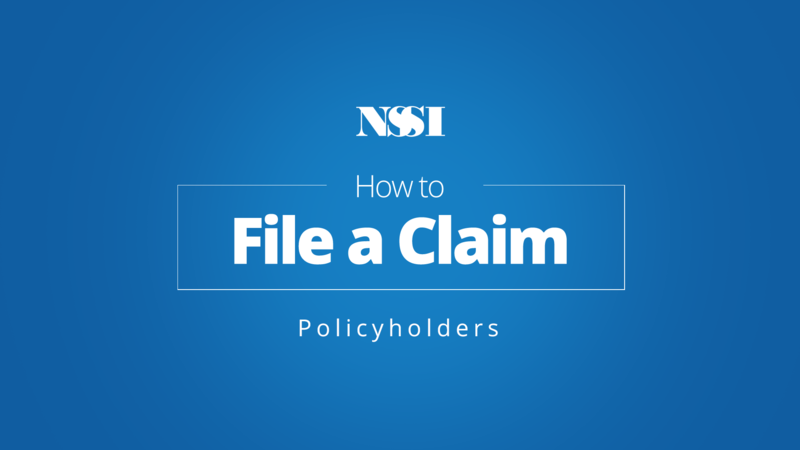 Step Three: Once you have found your policy, click the "File a Claim" link. Step Four: Follow the instructions on the page to enter the details of your claim, and then click the button to submit. If preferred, you can request a claim form and assistance from the Customer Service department at 1-800-256-6774. Step One: Print the Claims Checklist. Following this checklist can reduce delays when submitting your claim. Step Two: Print the Claims Form. Fill out the form so we have all your information. Step Three: Please submit your claim by fax, email, or mail. We will contact you when we receive your claim. Any person who, with intent to defraud or knowing that he/she is facilitating a fraud against an insurer, submits an application or files a claim containing a false or deceptive statement is guilty of insurance fraud, a Federal Offense. If you have general questions regarding filing a claim, check out our Claim FAQs.